To ensure our survival and heal the only planet humanity can call home, we need to spread awareness of the need to take care of plants and animals and stem the “Sixth Extinction”. Extinction of a particular animal or plant species occurs when there are no more individuals of that species alive anywhere in the world – the species has died out. “The Earth has seen five mass extinctions of different species. Natural disasters caused these extinctions. The Sixth Extinction began about 70 000 years ago, when our ancestors began to spread across the world from Africa. People destroyed habitat, introduced alien species to areas, and began to pollute. It’s not much different to what we are doing to the environment today. Biologists predict that, if we don’t stop this wave of extinction, half of all plants, animals and birds will become extinct before 2100. Why is it important to the “Stem the Sixth Extinction”? www.greenschoolsireland.org explains that … ecosystems and their plant and animal species “perform important biological services, for example, green plants remove carbon dioxide and release oxygen into the atmosphere, which helps keep the environment healthy and fit for human life”. Each species, no matter how small, is important, and one species generally relies on another for survival. So when we wipe out one species it has a ripple effect that ultimately destroys ecosystem functioning, and healthy ecosystems provide us with air, water, topsoil to grow our food, even shelter – all the vital things humanity needs to survive. In a nutshell … the World is in the midst of the “Sixth Extinction” of life on Earth and it is being driven largely by humanity’s activities, and made worse by a climate changing too fast for most species to adapt to. People need to know about this if we are to have any hope of “promoting biodiversity and stemming the Sixth Extinction” – of healing the only planet we can call home. 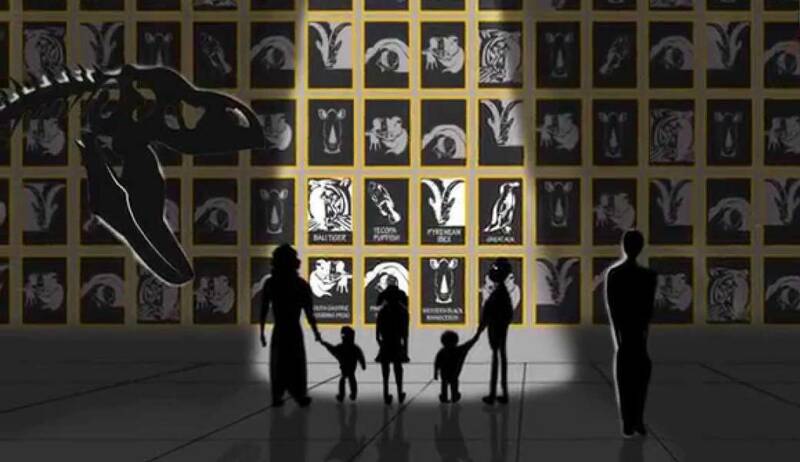 What has been done to raise awareness of Sixth Extinction issues? Gondwana Alive continues to support publications and events that spread awareness and a call to help stem the “Sixth Extinction”. This includes a series of Earth Alive, Gondwana Alive and Africa Alive publications compiled by Dr John Anderson, in partnership with some of the world’s leading scientists and research organizations. Why Gondwana Alive supports the lifetime work of Dr John Anderson? GA is founded on scientific integrity and we feel that Dr John Anderson’s work continues to educate and promote integrity in spreading our CALL TO ACTION to stem the “Sixth Extinction” and stop annihilation of biodiversity, our home and our life-support system. 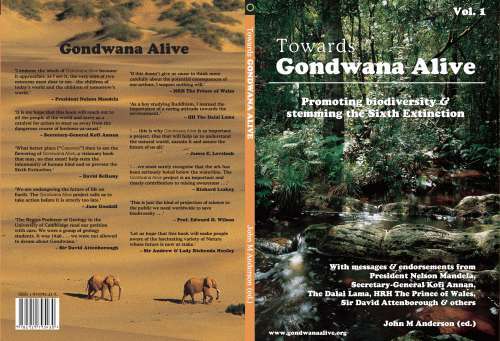 How does Gondwana Alive support Dr John Anderson’s work? GA support Dr John Anderson through assistance with promotion, contributions to publications and fundraising.